MediaLaws Database hosts the International Press Institute’s (IPI) work on legal reform. As the global network of publishers, editors and leading journalists for press freedom, IPI is using its voice to ensure that legal provisions that affect the media meet international standards are not abused to limit the media’s right to report on matters of public interest. The use of laws related to defamation, official secrets, anti-terrorism and cybercrime, among others, beyond their legitimate purpose severely threatens the free flow of information and the ability of citizens to hold those in power accountable. Our work so far under this programme has focused primarily on defamation laws in Europe and the Caribbean. Advocacy: Through direct advocacy, we encourage governments to abolish outdated legislation and provide necessary safeguards against the abuse of the law to limit the media’s rights..
Raising Awareness: Our country-by-country legal database offers detailed information on legal provisions affecting the media, measured according to international standards on freedom of expression. Building Capacities: Through training and various offline and online resources, we work to strengthen the capacities of journalists and lawyers to fight back against the abuse of legal provisions. Our work on legal reform is collaborative, building on the strengths of various partner organisations equally concerned with the need to protect and preserve the free flow of information. 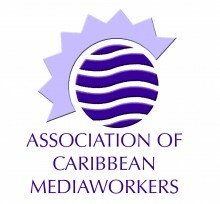 Our partners include the Media Legal Defence Initiative (MLDI); English PEN; the Center for Media, Data and Society (CMDS) at Central European University in Budapest; the Share Foundation in Belgrade; the South East Europe Media Organisation (SEEMO); and the Association of Caribbean MediaWorkers (ACM). Work on defamation laws in Europe is currently supported by a grant from the Foundation Open Society Institute in cooperation with the Program on Independent Journalism of the Open Society Foundations. Research and training work on defamation laws in Europe in 2014 and 2015 was made possible by co-funding from the European Commission.